Boat Weight approx 5.8kg and compares well with other current designs using the Velocity Prediction Program. 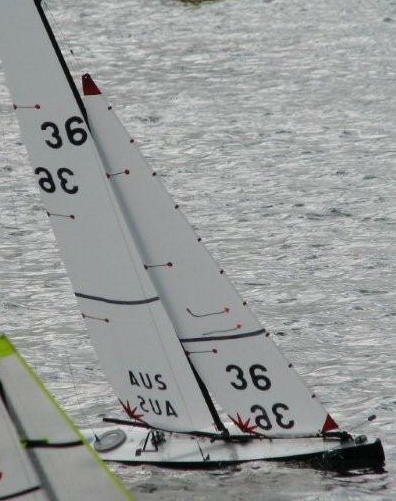 This design is related to the successful DIAMOND hull form and is optimised for best performance in breezy conditions. GRAFFITO needs to be built light for best performance. The plan shows the suggested layout for foils, ballast and conventional rig.